The registration period has ended! If you have additional questions please send an email to congress@fuen.org. Presentation of Fryslân by means of film, cultural performances, gastronomy and entrepreneurs. Traditional minority market with products from the European regions. Geart Benedictus, Chair of the Council of the Frisian Movement. We have the million. We have answers. The past year has probably been the most intense period in FUEN's lifetime. We have reached the one million signatures! The upcoming Congress in Leeuwarden ● Ljouwert, the European Capital of Culture in 2018, will give us the opportunity to evaluate the impact of our unique Minority SafePack Initiative in Europe, to plan the next steps, and to broaden our alliances. 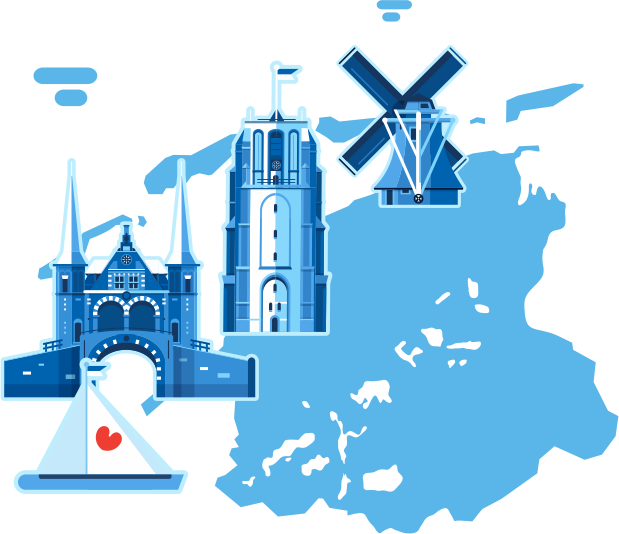 Our Frisian member organisation Ried fan de Fryske Beweging from Fryslân, Netherlands, will be our generous host and will present their community, the Frisian people, language, culture, and institutions. Together with the FUEN Presidium and the General Secretariat we welcome you all! See you in Leeuwarden ● Ljouwert! 20 June 2018: Shuttle Service will be offered from Leeuwarden train station to WestCord WTC Hotel. 24 June 2018: from WestCord WTC Hotel Leeuwarden to Leeuwarden train station. What would Fryslân be without mills! 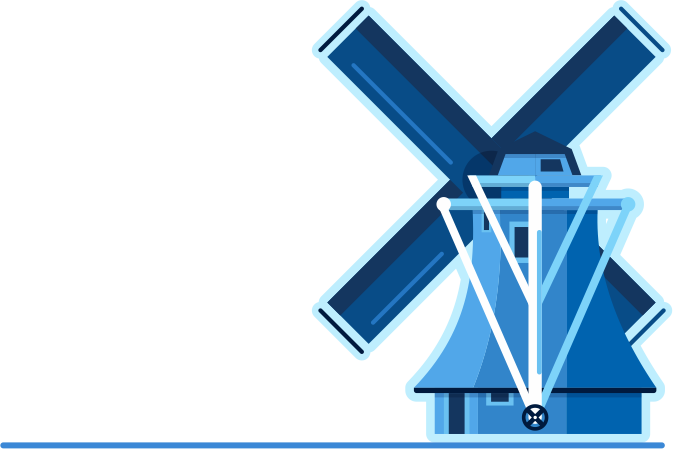 In the past Fryslân has had more than 2000 mills with a large variety of functions - from oil mills and industrial mills to sawmills, polder mills or flour mills, of which there are only 130 left today. Despite the decline there is still no Frisian location that doesn’t have a mill! The Frisian people’s love for mills finds expression in a uniquely established “Mill Day” (“Molendag”) which is a popular annual event. The Frisian mills are the stars of this day and many are open to the public. Next to its historic and well preserved city centre, the fortified town of Dokkum is famous for its beautiful mills and bushes. It is the fifth most popular shopping city in Fryslân. With no less than 140 national monuments, this city has a bit of everything. The cosy atmosphere and the water surrounding the city make it worth a visit. In 1652, Dokkum had five windmills, these were all post mills. Now Dokkum has two windmills which are preserved and both of them are open to the public by appointment. They are named Zeldenrust and De Hoop. The Oldehove is a leaning and unfinished church tower in the medieval centre of Leeuwarden - the icon of the city. It has been there since 1529 and is even more lopsided than the Tower of Pisa! You can admire it from the inside and out. In 2011 an elevator was built in, which brings you to the first floor. From there you will have to climb the spiral staircase to the roof. Once at the top you have a great view of the city. The tower guards can tell you everything about the tower and its history. Oldehove is also the name of an artificial mound on which in the 9th century a (Catholic) church was built. 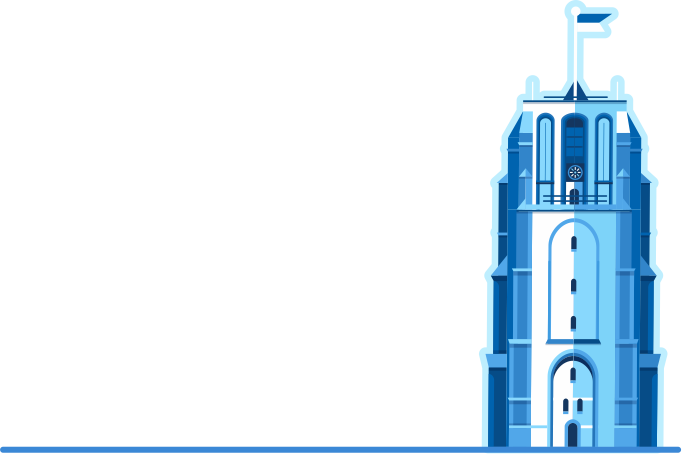 The construction of the adjoining Late Gothic tower began in 1529, after the citisens of Leeuwarden demanded a tower taller than the one in the city of Groningen. The tower's tilt began during the construction period. The builders tried to compensate but the project was stopped. The then derelict church was demolished many years later, but the tower remains. The tower is 39m high and has 183 steps. The top of the tower is displaced horizontally 2 metres from the centre. The original plan to attach a new church to the tower, was never realized. Sneek is situated in Southwest-Fryslân and is well known for its canals, the Waterpoort (Watergate, the symbol of the city! ), and water sport (Sneekweek). Sneek ranks as the 3rd largest city in the province in terms of size. It was founded in the 10th century on a sandy peninsula at the crossing site of a dike with an important waterway, called the Magna Fossa. This waterway was dug when the former “Middelzee” silted up. The dike can still be traced in the current street pattern and street names like "Hemdijk" or "Oosterdijk". Due to its central location in Fryslân’s lake area, Sneek is a real water city. It plays a central role in the southwest region and was even the capital in the 15th century. There’s not only a lot to do in relation to water sports, but Sneek is also a great place to visit for culture, to socialise and to enjoy nice places to eat. Stavoren (in Frisian “Starum”) is Fryslân's eldest town and can be rightfully considered one of the historic gems along the shore of the IJsselmeer. From its rich and wealthy past to its vivid present as one of Fryslân’s leading water sport centers – the beautiful and picturesque town of Stavoren has a lot to offer! In the Middle Ages the town became very prosperous through trade with England, France and Scandinavia. However, in the late Middle Ages Stavoren’s status began to decline after a sandbank formed outside the harbour, blocking ships from entering and exiting. The medieval legend about the Lady of Stavoren is symbolic for the mysterious demise of the town. Nowadays, water sports generates the main income. the capital city of the Province of Fryslân in the Netherlands. This year, it is not only the Capital of Culture 2018, but also the venue of the largest annual congress of European ethnic groups and minorities: the FUEN Congress 2018! Without a doubt, Leeuwarden /Ljouwert is the ideal starting point for an unforgettable trip through Fryslân. With a city centre that is still considered the best kept secret of the Netherlands, with a tower that leans more than the one in Pisa and people who are always ready for a chat and a beer. Leeuwarden is the main economic hub of Fryslân, situated in a green and water-rich environment. The city is a former royal residence and has a historic city center. It contains many historically relevant buildings and a large shopping street with squares and restaurants. 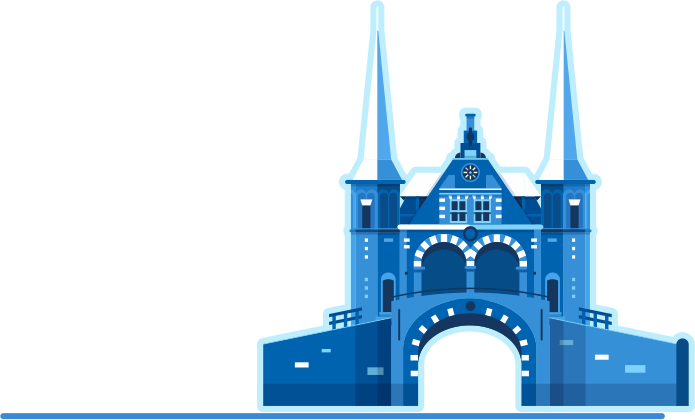 Next to the “Oldehove”, the symbol of the city, other well-known buildings in the city center include the “Kanselarij” (former chancellery), the “Stadhouderlijk Hof” (former residence of the city holders of Fryslân), the city hall (1715), the “Waag” (old weigh house), the Saint Boniface church (an important part of the neogothic movement) and the “Centraal Apotheek”, a pharmacy in the Art Nouveau style. The “Blokhuispoort” is a former prison that was transformed into a public library, hostel and restaurant. That the famous dancer Mata Hari was born in Leeuwarden? Interested in learning more about Fryslân and the Frisian people? Don't miss out on visiting the Fries Museum! Located in the heart of Leeuwarden, this bold new building showcases the very best of Frisian art and culture, and delves into the rich history of the Frisian people. With objects ranging from rare archaeological finds to modern art, from Mata Hari's personal scrapbooks to beautiful paintings by Sir Lawrence Alma-Tadema and Gerrit Benner – the Fries Museum is definitely worth a visit. Fryslân is one of the twelve Dutch provinces and is located in the North of the Netherlands. By analogy with the regions of North Frisia and East Frisia in Germany, the Province of Fryslân is sometimes and in international context called West Frisia. In the Province of Fryslân, 75% of the inhabitants speak (West) Frisian, besides the Dutch standard language. Today, this autochthonous language is spoken by ca. 450.000 people in Fryslân. The closest related languages are North Frisian with ca. 10.000 speakers and East Frisian with ca. 2.000 speakers. 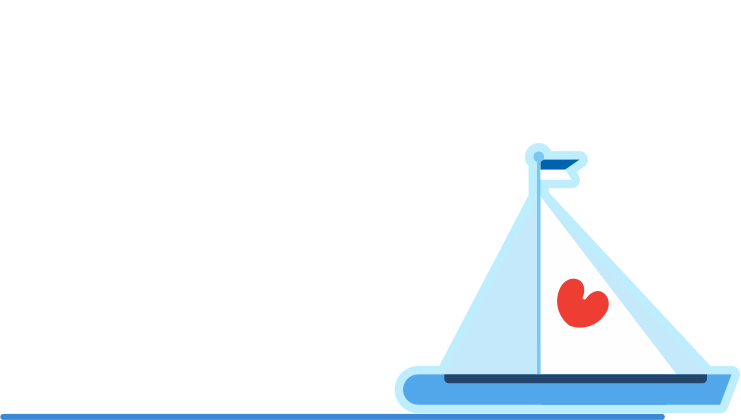 Together with English, the Frisian language group forms the North Sea group of the West-Germanic language branch. Despite being officially bilingual, most of the Frisian people also speak English or even more languages. The Frisian people's definition of culture is broad and inclusive, embracing all kinds of linguistic and cultural expressions. But its language is not the only trait that makes Fryslân so special. Seeblatt is the term for the stylized leaf of the yellow water lily, used as a charge in heraldry. The name is used to indicate the seven red lily leaf-shaped blades on the Frisian flag. The seven red "pompeblêden" refer to the medieval Frisian 'sea countries': Fryslân, Westergoa, Eastergoa, Hunsingo, Fivelingo, Emsingo and Jeverland. Whether reclaiming land from the sea with polders and dykes or navigating canals – water has always been present in the lives of the Frisian people. In fact, Frisian people have more words for bodies of water than for bread! Nowhere else in Europe will you find such an extensive network of interconnected lakes, canals, ditches, ponds and rivers. But rather than driving them apart, the element has brought the people even closer. Year by year, the area attracts thousands of boaters and vacationers who want to experience this unique landscape. peace and quiet, a one of a kind natural landscape with a rich and unique flora and fauna, you should visit the tidal flats and wetlands of the Frisian Wadden Sea. Why not board the ferry to the Wadden Islands and explore its quaint villages? Please choose your status on the first page! Romanian press form is different from the others. Your participants fields have been reset.